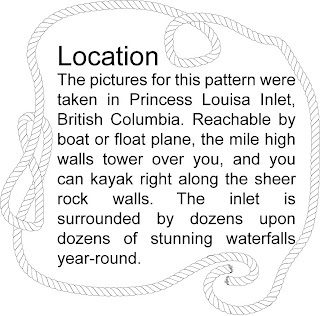 Princess Louisa is one of the most stunning places in the Pacific NW. It is a popular place with boaters, despite the utter lack of cell phone or radio reception. 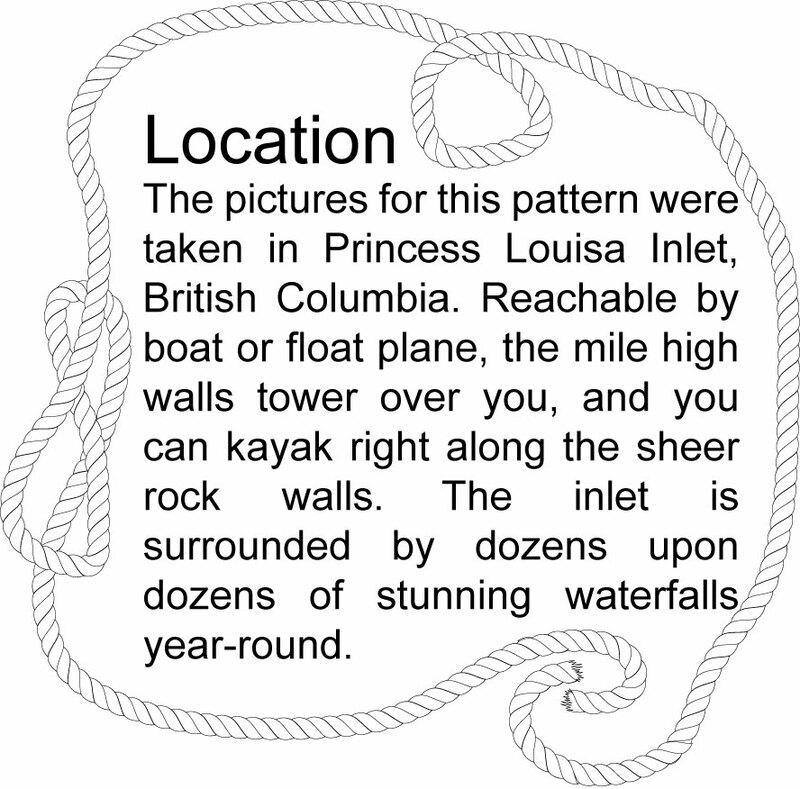 It is the location where the pictures were taken for the Louisa Hat knitting pattern were taken. We stayed here for several days so we could enjoy kayaking along the sheer rock walls- and the dozens of waterfalls. I of course had my knitting with me! This is one of my favorite places to kayak- you can kayak right up to the waterfalls. All the trees that you can normally see below the falls are covered by water! ...but the water goes back down quickly. Since we were here late in the year, you can imagine how big the falls must be in the spring! There are also hundreds instead of just dozens of waterfalls around the edges of the inlet. Huge amounts of moss and lichens (good! means the area is healthy!). Also mosquitoes though- and mosquitoes LOVE me. There is so much mist you can see it wafting towards the boats.